Documents passed down to the Takagi Family, retainers for a local gentry family in Minonokuni including around 100 thousand documents relating to Kisogawa River flood controls, governance and finances of the territory’s villages,etc. The Ito Keisuke Collection belonging to the library attached has a collection of 188 manuscripts by Keisuke Ito, who is called the father of modern Japanese botany. The collection includes Kinka Shokubutsu Zusetsu, Kinka Gyofu and Kinka Chufu. Kinka is his pen name. 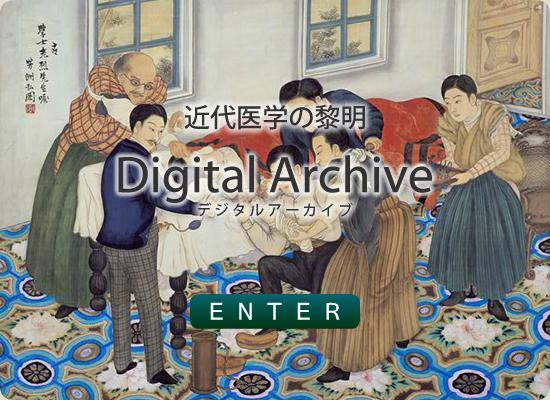 Digital archive of the Western rare books of Nagoya University Library. Database of books and photos about history of Medical School of Nagoya University, medical history, also include tools of modern medical science. Databases of old books held by Nagoya University, describing bibliography, additionally contents and comments.